Creative Cat Media, Inc., 9780999684207, 34pp. 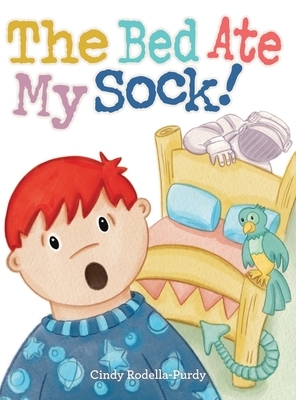 "The Bed Ate My Sock " exclaims Johnny to his mother. Mom doesn't have time for games and wants Johnny to go and get his sock. He tries to tell her that he did all that he could do to find it. Johnny called in doctors, detectives, firefighters, a dragon, pirates, a construction crew, superheroes, cowboys, and astronauts to join the quest. Can Johnny convince his mom that he did all he could do and that the bed did indeed eat his sock? Or did something else get it?